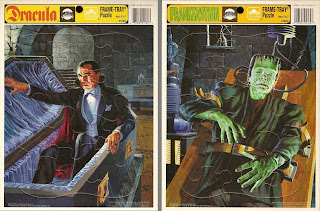 Picked up these neato Universal Studios Monsters Golden Frame Tray puzzles from 1991 a few weekends back. Thought I'd share before they get packed up for safekeeping. Unsure if they created ones for the other Uni horror icons. wow these are awesome. thanks for sharing. survival of the dead sounds like a terrible title by the way.